well done on the style it scared the crap outta us! Neat little game. Love the pixel graphics, and the experimentation with the manipulation of space. Thanks for playing my game dude!! Cool vid. Nice stuff, neat audio and a creepy atmosphere. Would be interested in seeing more! Thanks Mister! Working on something else now which I hope will also have a creepy atmosphere! Thanks for playing my game dude. Cool video! Be sure to follow for updates about my next game; which should be coming soon. I'm already on that!Thanks again for the opportunity man! Awesome game! Really did a lot with a little here in terms of graphics. I always love pixelated horror games. The sound in this really shines to me though. From the beginning I found it a bit creepy and it just got worse as it went. If I had any complaints it would be of course that it's kind of short but also it would be nice if there was a bit more pay off scare-wise. The build up is amazing but doesn't seem to ever have much in the way of actual scares (except conceptually with the subject matter). I understand that with that subject matter anything like that might not seem appropriate to you though. Just throwing my two cents in. At any rate, great game! Thanks for the feedback Rob. Very interesting. I haven't seen anyone else have those sorts of camera bugs that you came across. It's almost like the field of view got completely messed up on your play through. Did you change any of the settings before the game started? Very interested about why it happened to you (seeing the 2nd to last room before you were meant to). Thanks again for the feedback. I was on the edge of my seat! I loved the game! I loved the plot as well!!! Thanks for playing dude. Shame about the video. Hopefully next one will come out ok though! Unity with a pixelation shader attached to the camera. Thanks for the play through dude. Awesome video! Of course I have to throw in my two cents before shamefully linking my gameplay. I absolutely adore pixel horror games because they're really nostalgic to me. 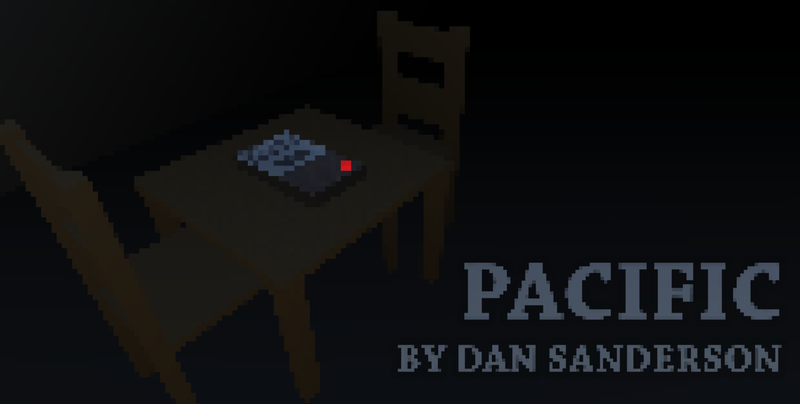 Imscared was the original pixel horror game that I found myself playing all the time, but this game gave me vibes back to the originals and it's super impressive. Alright, let's do pros and cons! Pros: Super tense and kept me on edge, never got stuck anywhere, super impressive detailing and level design when it comes to progressing. Cons: Too short, very few great scares, sounds got super repetitive. Thanks for playing the game dude. Cool video. Not entirely sure what you meant about the sounds being repetitive. Yes the beating bass in continuous throughout the entire game; this is was an intentional decision. The game is split into 6 sections; and there are 4 different "sound tracks" that play throughout the game; each changing depending on when you reach the desired area. There are also geiger count style radiation sound effects and some other stuff. Not entire sure what particular sounds got super repetitive, considering you're only in each room for about 2 minutes tops there's very little chance that you'll hear much of a loop. cool! I liked this game! Good work. I made a video for the game. Awesome video, and you identified exactly what I was going for. Atmosphere! Thanks for taking the time to play my game dude. Nice video! Hey how did you achieve that pixelated look just wondering. Look up Pixelation 1.0 by Dmitry Timofeev. It's a free shader for your camera. This was way creepier than I expected! Leaped out my chair at one point haha. Great game, looking forward to seeing what else you develop in the future! Awesome video dude, I subscribed to your channel. Thanks for playing Pacific! Glad to hear you enjoyed the video! And thank you for subscribing! Thanks for playing Pacific dude! I'll have a look at the audio and give it a bit of a tweak. Thanks for the feedback! Thanks for the play through video dude. I'll be honest, that particular angle (excuse the pun) hadn't immediately occurred to me! This game got me on the edge of my seat! I SUSPECTED JUMPSCARES THATS WHY! LOL But overall good game! Definitely got suspense and mystery! Hey man. Thanks for the video. I enjoyed it a lot. You know I've really enjoyed watching people play this and get themselves worked up about it. It's really cool that you scared yourself because you believed whatever is about to happen is going to be awful. Whereas if I had a dumped a jump scare in there it might even have been a bit of a let down. The footsteps got you good though! 😉 Thanks again dude. Hey there, I really enjoyed the game! I wasn't sure what to expect going in but I was quite surprised with how well done it was. The atmosphere was excellent, the changing hallways, doors, and rooms along with the sounds and noises kept me on edge, and they helped to build up to the scares nicely. It has an eerie feeling to it, and the tape recordings are a great way of conveying a story around what happened. In the end, it's an eerie horror experience that I greatly enjoyed! Also, I hope you don't mind but I made a short let's play of your game. Cheers and good luck with any and all future projects! You are quite welcome, thank you for making the game! I'm glad you liked the video, I'll be sure to keep an eye out for your new project when it finishes. Oh wow I loved this! Was pointed here by Waypoint. Love the way that the weird, shifting room layouts plays with your brain. There were a few times where I opened a door and promptly closed it again due to anxiety. Great work! Thanks so much for playing Pacific and for your kind words. The reaction has been great and the Waypoint article has driven a lot of traffic to the game. I'm working on a new project which I hope you'll enjoy too. Dan. Thanks so much for playing Pacific dude. Cool video! I might release minor bug fixes but on the whole I think I'm going to leave it short and sweet. I am working on a new project now though which I hope you'll check out. Good luck with your channel, subbed. Very nice atmosphere, I had a great time playing this game! Good job Dan, Keep it up!! Did I say no jump scares?! Well... not many :) Thanks for playing game! Good luck with your channel. I subscribed. Thanks for playing my game guys! *Rurr* - Gave the game a try, liked the atmosphere, my only criticism is it's TOO SHORT! It built up tension but - if only the game was a bit longer and had something 'actually' spooky in it :( Outside of that? Short but tense. Thanks dude for giving it a shot. Perhaps in hindsight I should sat on it for a while and come back to it; but it was my intention to just get something finished so I put a deadline on it. Too many projects don't get finished so I was happy to get it out there. I'm working on something else now which should feel a lot more complete so check back later. Thanks again for playing. Thanks for the LP man and for the advice about the sounds. I made it real basey headphones so for me the levels sounded ok, but I'll give it a try with ear plugs and tweak it. Thanks again. Thanks for playing!! Glad you enjoyed it. Hey dude. Thanks so much for checking out Pacific! I love your LP style. I know what you mean about no jump scares but still holds the atmosphere. Lazy developer hey?! Taking advantage of the fear in your head instead of putting it on the screen! I hope you check out my next game, be sure to follow me on itch for updates. Any chance you can put the word "indie" in your YouTube title? Would be great if you could. Thanks dude. Vielen Dank für das Spielen von Pacific. Ich wünschte, ich verstand jedes Wort, das du im Video gesprochen hast! Ich habe tatsächlich ein Update auf Pacific heute hochgeladen, die ein paar Bugs behoben und einige zusätzliche Features hinzugefügt. Aber es ist nicht viel Unterschied, und du hast trotzdem die Bugs vermieden!